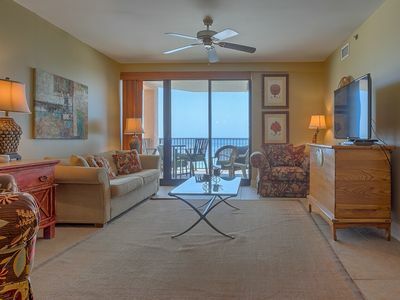 Vacation in luxury and enjoy your surrounding waterfront views. 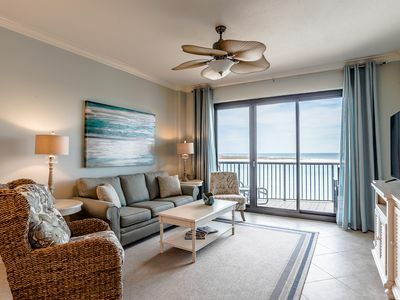 Our beautifully decorated condo faces the waters of the popular Terry Cove/Cotton Bayou but also enjoys outside porch views of the Gulf waters and The Pass. 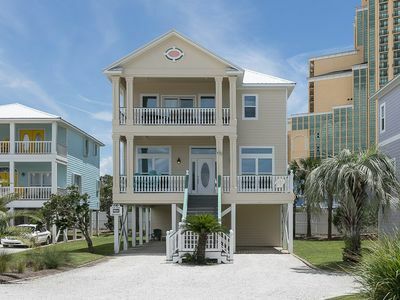 Located within walking distance of the beach, restaurants, shopping, fishing charters, kayak, jet ski and pontoon rentals, there's an unlimited amount of beach activities your family or friends can choose to do! 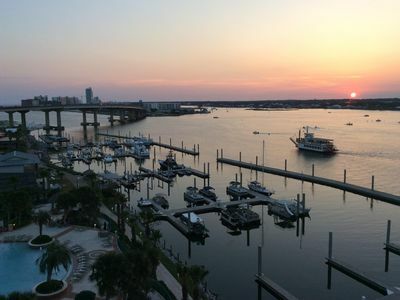 If you have never been to Orange Beach you are in for a real treat. 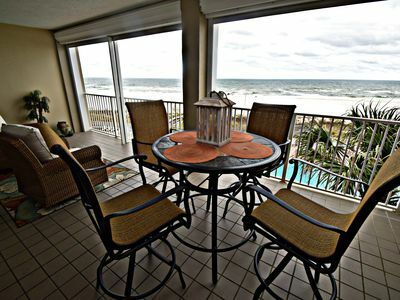 Our beautiful white sandy beaches and gulf waters are simply breathtaking! Our unit itself will make your vacation one you will always remember, and you will be wanting to return again year after year. We have lovely views from our 4th floor unit. So much more to see on the cove than beachfront. The night lights and moon shining on the water will make moments to remember. 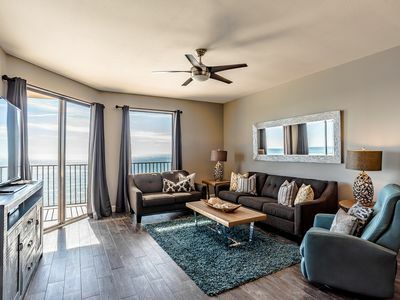 You'll love all of the amenities that Mariner Pass offers and you will have trouble deciding if you want to stay on the resort property, or venture out and do some beach activities or sightseeing. You can either walk across the street for a nice long(ish) walk to the beach, or hop in your car and drive over the bridge to the State Park Public Beach with parking and toilets for your convenience. 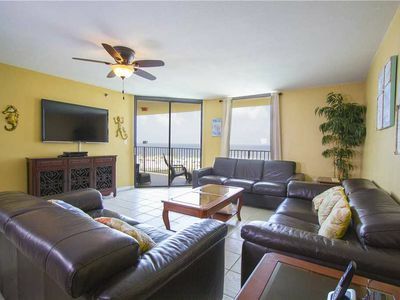 Mariner Pass has both and indoor and outdoor pool as well as a hot tub. We have two docks you can fish from (private boat lifts) There is no docking allowed for guests for bringing your own boat. If you rent a boat nearby for the day you could dock for a few minutes while going to your unit. If you rented kayaks (only 1000 feet away) you could pull them on the beach for a bit while resting but not keep them there over night. Our unit may well be the most clean place you'll ever stay. 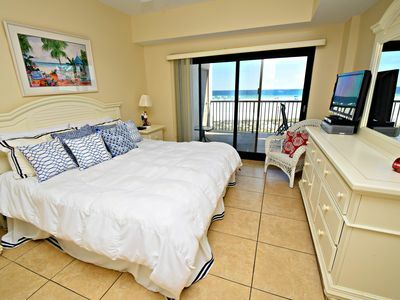 It has 3 spacious bedrooms with the master boasting a lovely master bath. The master has a comfy King, the 2nd bedroom has a really comfy queen and the 3rd bedroom has a set of twins, all of which are professionally decorated. . 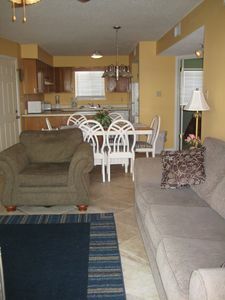 Enjoy watching our huge flat screen TV in the living space and relax on our comfy leather couches. 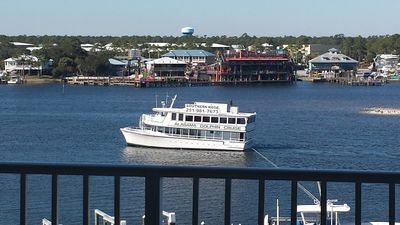 Our deck has sweeping views of Terry Cove and several of the small islands nearby. We offer you good outdoor seating for eating or lounging outside. 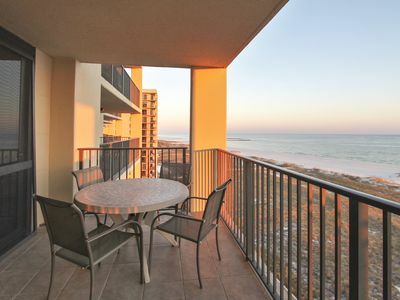 We share another porch with seating that overlooks the view of the GULF and the PASS. It's so much fun to watch all the charter and boats coming in and out through the pass. 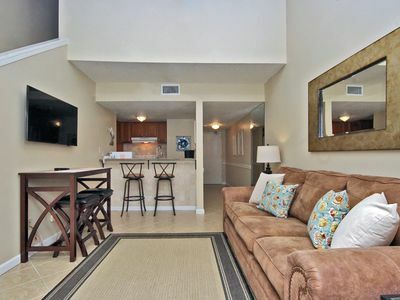 You'll feel so pampered in our unit you''l never want to leave. Our kitchen is well appointed for all your cooking needs and is beautiful with it's granite countertops. 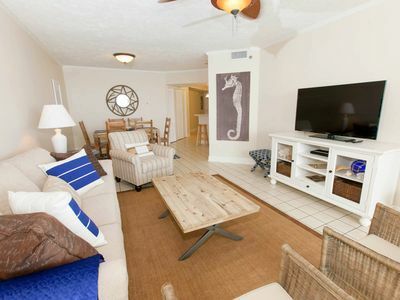 If you prefer to cook on your vacations you will just love this kitchen and the lovely dining area! If not, you can walk to the nearby restaurants and keep things simple. It's YOUR vacation so you can do as you wish. 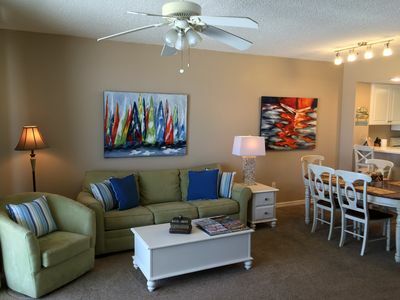 Either way, you will enjoy the spaciousness and luxurious decor in our unit. We provide you with a full sized washer and dryer for all your laundry needs right inside the unit. Just bring your laundry supplies. I know if you choose our unit for your vacation you would be thrilled with your choice and will be planning to return every chance you get. Brand new to rental market! Stunning condo! EVERYTHING IS NEW!!! 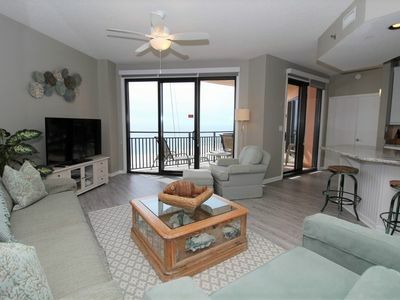 Seachase 704C- Beach Front Views from Terrace and Luxurious Interior!